SEE YOU AGAIN: The Angels return to the Gateway Hotel next month. Dave Gleeson loves rocking up close and personal with fans of The Angels. “The best gigs are when you’re nice and close with the crowd,” the band’s front man told the Indy. Which was why Gleeson was keen to return to a packed Gateway Hotel on 13 July. “It’s become a great gig on the touring circuit,” he said. Gleeson was part of that crowd himself as lead singer of fellow Aussie icons The Screaming Jets. “The first national tour we ever did was supporting The Angels,” he said. Decades later Gleeson went to see The Angel’s Rick and John Brewster at a pub in Adelaide, where the brothers spotted their old touring mate singing along. “They asked me to get up and do a couple of songs,” he said. After that gig Gleeson took up the mantle of original lead singer Doc Neeson, who died in 2011, and has sung for The Angels ever since. He continued with The Screaming Jets and had even sung for both bands in the same night at a few festivals. “It’s not so bad – there are mates of mine in bands who still have to do four sets a night,” he said. But Gleeson had managed to keep the two bands separate, despite fans screaming for Jets songs at his Angels gigs. “I get fans yelling out, ‘sing Better!’” he said. 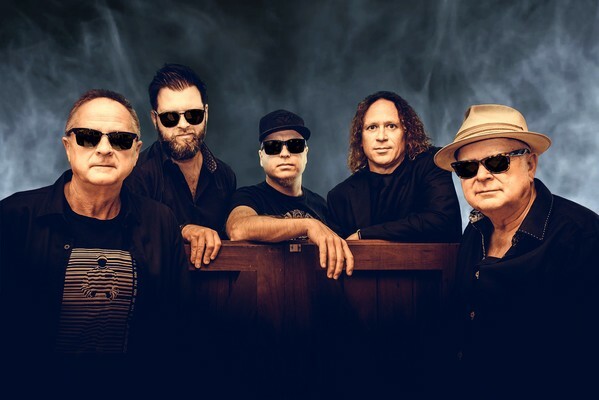 The Gateway Hotel gig would be no different as the band tears through the iconic Face to Face from cover to cover to celebrate the album’s 40th anniversary. “Get out your old copy and then come see it live,” Gleeson said. The band will play the “brutal” Mr Danger, the “sing-along” Be With You, Take a Long Line and, of course, the iconic Am I Ever Gonna See your Face again, he said. Touring had become less hectic then when Gleeson started out, he said. The band set aside Monday for laundry, which is why they always stank, Gleeson explained. Luckily, crowd behaviour had improved too, Gleeson said, admitting he had limits for getting up close with fans. One of his favourite clips shows Rolling Stones guitarist Keith Richards hitting a stage invader with his guitar at show in 1981. “Thankfully I’ve never had to do that,” he said.